We are offering a wide gamut of Mixer Juicer Shaft in the market. 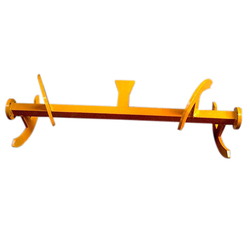 These are manufactured from best quality material at the state of art infrastructure unit. Our range of Home appliances shafts is in high demands among our clients. These Home appliances shafts are manufactured with premium quality material. We procure these Home appliances shafts from reliable and certified vendors of the industry. These Home appliances shafts are available in various customized range as per our client’s requirements. We are one of the prominent manufacturers, exporters and suppliers of a large range of Mixer Shafts which have a great importance in the automotive sector. Being a leading enterprise of this industry, we are offering a huge range of Concrete Pump Agitator Mixer Shaft (End Shaft). We are a unique name in the industry for manufacturing an optimum quality range of 48.5 MM Mixer Shaft. We are a company which has managed to establish a name for itself in the market for the excellent range of products which we supply to the customers that include the Mixer Grinder Shafts. We offer Mixer Juicer Shafts designs to meet the specific requirements of each customer. The economical Mixer Juicer Shafts design a conventional high speed disperser. This combination is ideal for straight forward mixing and dispersion applications. 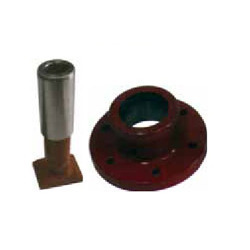 We are a quality-conscious firm, engaged in offering an excellent array of Mixer Grinder Shafts.